Discount prices for all registration options are expiring soon! Registration and full payments are due by Thursday, May 31. (That means that if you have sent a deposit, balances are due as well by May 31!) Please don’t delay. Immersing yourself in a week of classes with an amazing collection of the world’s best Lindy Hop instructors! Dancing to some of the best Swing bands including Campus Five (for two nights), Gordon Webster and Glenn Crytzer! 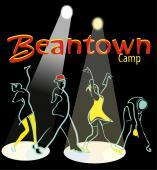 Being entertained, awed and inspired watching the instructors perform in Beantown Bounce! Dancing with awesome Lindy Hoppers from all over the U.S. and beyond! Spending time with Norma Miller, living legend and original Lindy Hopper! Belting out your favorite tune at Beantown Karaoke! Bonding with classmates while trying to master that new move! Laughing until it hurts at Beantown’s Got Talent! Finding your Soul at a late night dance party! Being fed three fab meals per day with many options to choose from! Rolling out of your bed and off to the beach for some relaxation time! Hanging at the Endicott Pub with your new and old friends! Enjoying a 4th of July BBQ down by the shore! Finishing your week filled with joy, exhilaration and lots of Lindy Love! Join us for our 16th year! Camp runs from June 28 to July 5 with multiple registration options. If you have always wanted to come to Beantown, this will be a phenomenal year to do so. If you’ve never done the full week, do it in 2012. You will be glad you did! Check out all the details on the website.